Competition Artists will be painting in and around Christoval, Texas, a small eclectic village south of San Angelo. The public is invited to find the artists painting during the day at these public locations. Christoval TX is located about 22 miles south of San Angelo on US HWY 277 South. Artists can maps.google these locations below. 7:00 - 9am ~ Sunrise Breakfast provided for the Competition Artists by Treva Boyd. Available for pick up at the Christoval Cafe 19965 Main Street in Christoval (photo below). 11:30 - 1:00pm ~ Lunch for Competition Artists, provided by Exotic Expressions - owned by Toni Akin, a Christoval resident and Friend of EPAT! Box lunches can be picked up at the Christoval Cafe. Restroom available. In the 1920s Christoval was a thriving little town nestled along the banks of the Concho River, boasting two hotels, mineral baths and a Baptist Encampment. 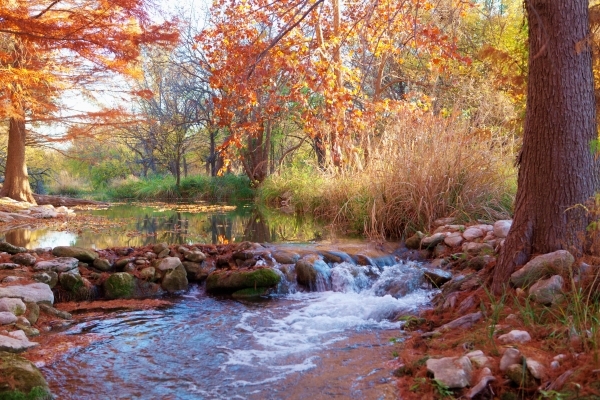 This rustic campground housed the Texas Artists Camp from 1921 until 1927. 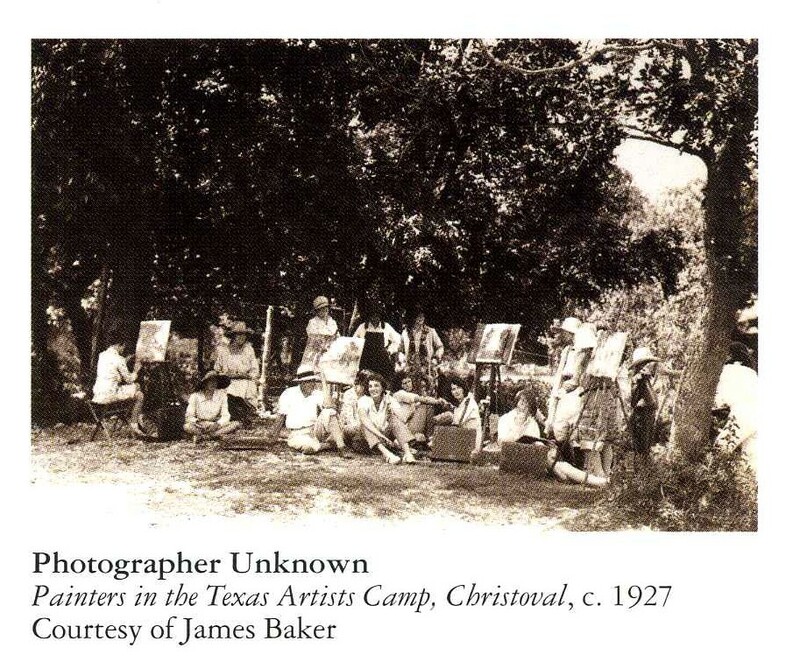 Founded in 1921 by Mrs. Sam (Mollie) Crowther of San Angelo, the Camp grew in its 7 years of existence, from a local gathering to one of the leading institutions of its kind in the Southwest emphasizing the opportunities of the West as a new field for art. Some buildings along Main St. Christoval TX today. S Concho River Bridge at the south end of Main Street and with low water crossing. Located at 5000 Cralle Road, Christoval TX. *Restrooms outside the Tasting Room. Located east of Christoval on Ranch to Market 2084 known as "Toe Nail Trail" - see sign at South end of Main St. in Christoval. Maps.Google Pugh River Park Christoval. Sunrise/late afternoon paintings would be beautiful at this location, or along Toe Nail Trail Ranch road. This ranch is not open to the public. Located on this ranch is the old railroad track to Mexico. The Butterfield Stage Coach line from 1897 ran through the ranch. It is named Cole Creek because men who deserted the Civil Way made camp here and called it Cole Creek, possibly after a soldier--the name stuck! maps.google 5178 Cralle Road at Christoval, TX. Late afternoon sun and shadow paintings magnificent at this location! Restrooms available if painting here in the afternoon.